Modern DSP technology has provided us with the ability to manipulate audio signals as never before, including shaping the basic elements of a complex waveform while maintaining sonic integrity. In this article, we’ll focus on the foremost part of many sound waves: the transient. Whether reshaped by simple full-band compressors, expanders, multiband compressors or specific transient shaping plugins, the sky is the limit in terms of sonic manipulative possibility. In many cases, too, reshaping transients reshapes the energy of how each affected instrument cuts through the mix, affecting, of course, the overall mix. A transient is a short-term burst of energy which occurs as a waveform builds quickly from silence to a peak. It is often associated with the attack of drums, percussion and other similarly ‘snappy’ instruments, although every instrument exhibits varying degrees of transient attack energy with a sustain to follow. In practice, the shape and balance of attack and sustain energy determines how hard-hitting or how ‘soft’ a sound will be perceived. Therefore, effective transient shaping work must embody the control of both the attack and sustain signals. You can think of the attack as the initial “call to attention” event of every sound we hear. The attack can be very sharp as in most percussion instruments like cowbells and claves, softer as in instruments like cellos and upright basses, or anywhere in between. Each instrument has a natural range of attack shape depending on how hard or soft the instrument is struck during a recording. 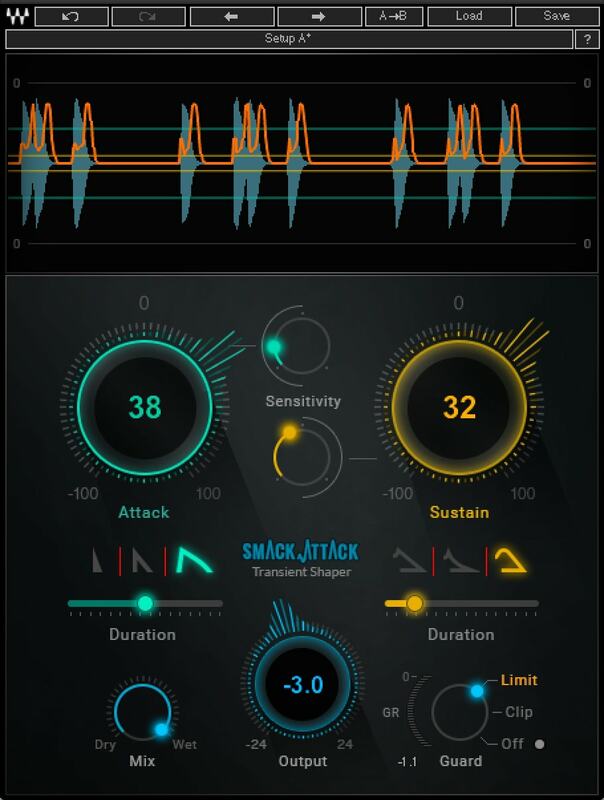 Transient shaping tools can help to enhance or control this range to shift the aggressiveness in relation to the other performances in a mix. The sustain portion of the signal defines the average or “RMS” (root mean square) level readings on a dBFS or VU Meter. Most of our perception of volume and loudness is embodied in the sustain portion of the signal. It embodies pitch or chordal content, and the shape of the sustain and release cycles play a huge role in the perception of ‘groove.’ Long sustains can clog up rhythmically active parts and short sustains can leave slower passages feeling empty. The important thing to remember is that there is always a natural balance of attack and sustain energy with each instrument. Should you decide to exceed those boundaries, you begin to change the recognizable character of that instrument, so proceed with caution (or creativity)! ‘Close mic’ techniques were used to make the transient signals more pronounced and clear. Equalizers were used to boost upper midrange frequencies as a way to enhance the transient attack. Boosting lower frequencies, by contrast would enhance the sustain energy. The limitation of these techniques is that they are static processes that remain in place after the signal has passed, potentially adding noise; a boost at 5 kHz on a snare drum may do well to enhance the transient attack energy, but it will also add to the bleed of the hi-hat that is nearby. Using dynamics processors like gates could eliminate the bleed but may also cut off some sustain energy in the process, depending on the context. 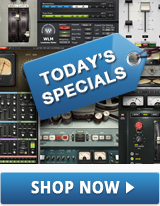 The fundamental principle of compressor and limiter design is to control transients rather than to enhance them. A quick look at the meaning of “compressing” and “limiting” speak volumes on how early dynamics processors relate to transient energy. The limiters that first entered recording studios were adopted from the broadcast world, with very fast attack and long release times. There were few that allowed variable control of the attack time. Even the Urie 1176 compressor, with its variable attack control, only had a range of .03 ms to .8 ms.
By the 1970s and 80s, the range of attack and release times increased as more sophisticated compressors and limiters became available. This gave engineers the ability to let transient signals pass through unaffected with slower attack times, and allowed better shaping control of the sustain signal with variable release controls. These advancements resulted in the ability to enhance transients and control sustain with precision and intention. Start with a slow attack time of about 30 ms.
Set the release time to a musical value, like a 1/16 note timing. Set the threshold so that you achieve just a couple dB of gain reduction. What you will find is that the sound will come forward in the mix (enhanced transient) and the release will move to the rhythm of the tempo (shaped sustain). This fundamental engineering principle is the primary building block of transient shaping technology. When we think of expanders and their use in dynamics processing, it’s important to understand the distinctions and differences from gates and other processor types. By standard design, compressors, limiters and gates drive signal levels downward when thresholds are crossed. Upward expansion, by contrast, adds gain and expands dynamic range when signal levels exceed the threshold. With rare exception, like the BSS DPR-402 in “Expander Wide” mode (found in the jumper settings), the upward expander is primarily a product of the digital world. The best way to understand how to use an expander is to begin with the concept of a compressor; as the signal passes above the threshold, compression of the dynamic range begins to occur. The amount of compression beyond the threshold is based on a mathematical curve, dictated by the ratio setting. But what if the ratio was .5:1 instead of 2:1? Now, for every .5 dB of signal above threshold, 1 dB will be output, meaning the compressor is now dynamically adding gain to the original signal instead of taking it away. This simple variation of the ratio control is another fundamental building block for transient enhancement. 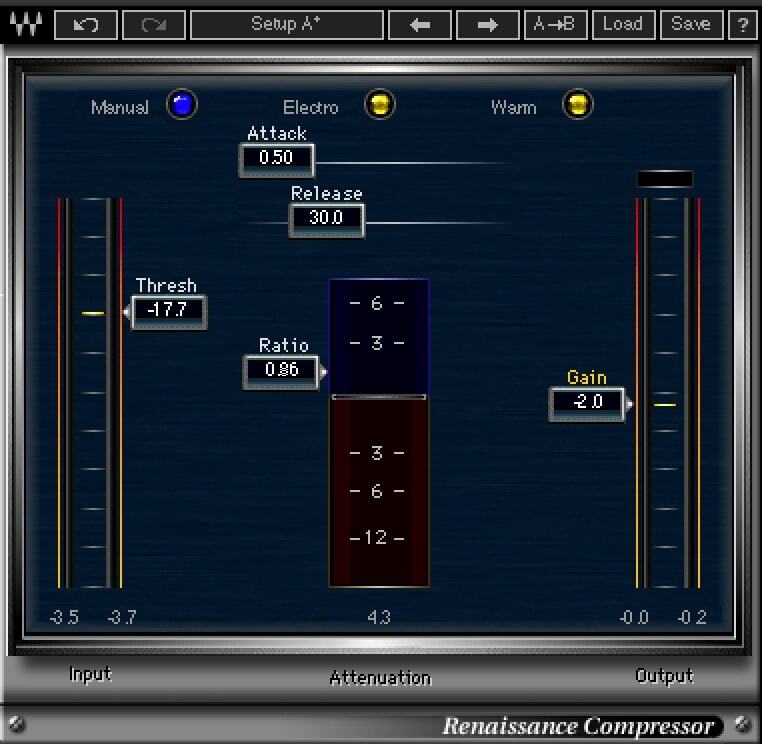 Start with a compressor plugin that allows for ratio settings less than 1:1, like the C1 Compressor, Renaissance Compressor or Renaissance Channel. Set the attack to the fastest setting, release to about 30 ms, and the ratio to at least .9:1. Set the threshold carefully so that only the transient attack triggers the expansion. To increase the intensity of expansion, lower the ratio. To sharpen the transient signal, decrease the release time. Multiband dynamics processing has allowed for a whole new level of control in shaping transients. In addition to expanding transient peaks, the ability to shape the frequency response of the transient as well as the sustain signal is now a realistic possibility. Processors like the C4 and C6 Multiband Compressors allow signals to be compressed or upwardly expanded on a band-by-band basis. This enables the ability to shape the frequency response of the transient while simultaneously shaping the sustain signal, all within the same processor. Knowing where to begin, however, requires a bit of understanding about the nature of transients and the sustain signal that follows. Transients, by nature, will typically carry more high-frequency energy than low frequency energy. This is because transient energy occurs over a very short period of time, and lower frequencies take longer to develop due to their wavelengths. The higher-frequency attack also provides important localization cues that allow the sustain signal to form in a more recognizable manner; again providing a "call to attention." This is quite apparent in drums and percussive instruments, but also present in other musical instruments, to greater or lesser degrees. It’s important to study the waveform display of the instrument you are affecting. Some instruments, like very heavily distorted guitars, will exhibit very little change in gain from the attack to the sustain. This makes transient shaping difficult, even with a multiband processor. Start with any instrument, like a kick drum, that has a relatively soft attack. Set up a band that starts around 1 kHz and ends at about 6 kHz. Add gain to this band. Listen, and shift the crossover points to capture the attack frequency you're after. Now, zero out the gain boost and set the range control to push the signal upward. You will need a very fast attack and about a 30 ms release. Move the threshold so that the expansion only triggers at the attack. Now, set the low crossover to 100 Hz. 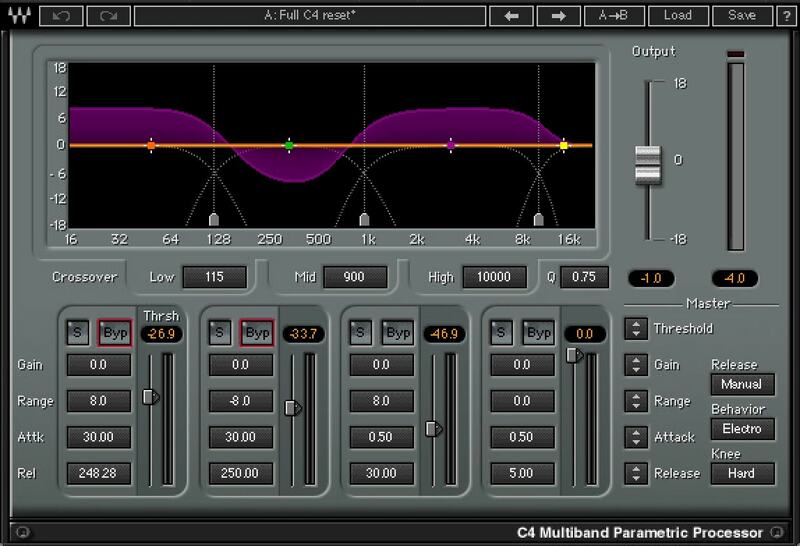 Audition this boost with the gain control and find the best crossover frequency. Set the attack time to 30 ms and the release to a 1/16th note value in the music. Zero out the gain, set the range control to boost (expand) the signal, and set the threshold so it triggers a boost on the low-end. You can also set the low-mid band to attenuate the signal with the same attack and release settings. This will help to push the low frequency boost more clearly. The 1/16th note release time is also important here as it shapes the sustain signal to a musical timing. Depending on the tempo and pace of the part, you can adjust the musical value upward or downward. 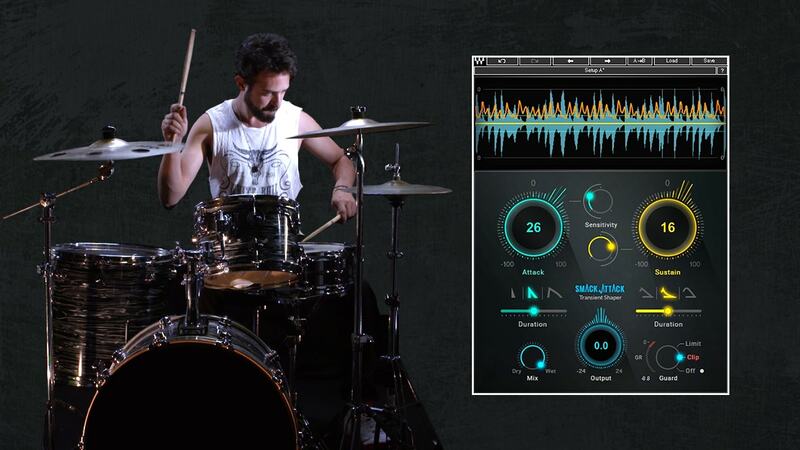 Beyond multiband compression, the latest evolution in transient shaping comes in the form of specially-built, easy-to-use transient designers. While the sophistication and complexity 'under the hood' may have increased substantially, the user-interface remains fairly simple, as long as the concepts are understood. If not used carefully, tuning a transient can easily become complicated and troublesome, even for a seasoned mix engineer. The result can become something messy, which may be better than the original, but is not truly optimized. Innovations in technology bring new possibilities with new sounds, plus a new ease of use to achieve the same sought-after results. Using a newly developed technology, coined Organic ReSynthesis, transient tools like Smack Attack can be used to enhance or soften as well as balance attack and sustain energy in unparalleled ways, while remaining extremely transparent to the original sound's character and tone. This transient shaper also allows a wet/dry mix for best balancing. A great transient shaper plugin actively optimizes transient settings to performance dynamics and length of notes. In this transient shaper, gain modifications can be accurately displayed and superimposed over the waveform display of the incoming audio. Other tone-shaping features guard against clipping, or allow you to add clipping if that is what you prefer. The following audio examples show some of the attack and sustain optimizations that can be made using Smack Attack. Transient shaping tools are a powerful way to optimize almost any sound, but it requires measured usage. They are techniques that have shaped the music we know and love and are worth studying and integrating into your regular mix work. They are the foundation from which surgical tools like transient shapers can be used to optimize problem-sounds. Over-usage of such tools can easily lead to sounds that are disconnected, annoying, distracting and otherwise hard to listen to. Having a foothold in the listenability of music to the consumer is key. After all, it is not the tools themselves that make art, but the tools in the hand of an artist which makes the art! Historically, controlling transients has always been an important part of audio going all the way back to the 1930s when the first broadcast limiters were created for radio transmission. The primary objective was always to limit the transient peaks rather than to enhance them. The role of limiters was to prevent "over modulation" (resulting in distortion) with fast attack times and with long release times to control ambient noise during long pauses in an audio program. Broadcast limiters were soon brought into music studios to control recording levels. Limiters were widely used at the cutting lathe to protect the lacquer from being over-cut. They were used in analog music recording to guard against distortion and to improve signal-to-noise ratio due to tape hiss. 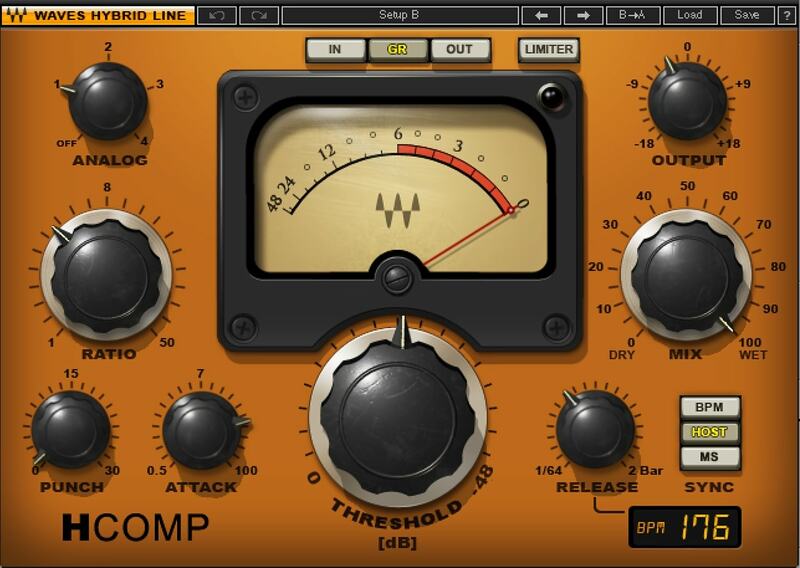 Even the advent of digital recording technology in the 1980s did not eliminate the need for limiters to guard against clipping during the recording process. For more on shaping tone, learn how to add analog warmth with harmonic distortion. To get a clearer, punchier mix, see our gain staging tips.